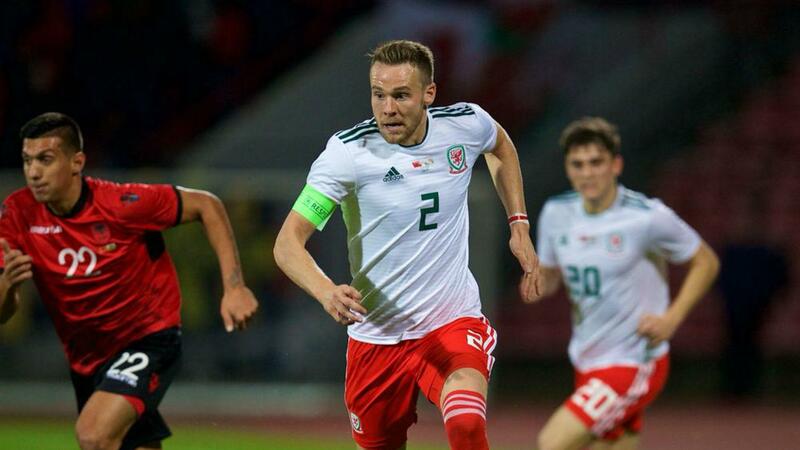 Chris Gunter became Wales' most-capped player in Elbasan on Tuesday but Ryan Giggs' side could not mark the occasion with victory as they were beaten 1-0 by Albania. Gunter's landmark night saw Wales make a positive start but finding a way through the Albanian defence proved harder than Scotland had found three days earlier. Lively attacking duo David Brooks and Harry Wilson looked the most likely to threaten Etrit Berisha's goal, with the latter wasting Wales' best opportunity with a long-range free kick that drifted wide. Taulant Xhaka was lucky to stay on the pitch just before the break as he appeared to move his head towards Brooks', but the officials only showed him a yellow card. Vokes failed again just after the restart as he proved unable to turn in Tom Lockyer's header from a yard out, the Burnley striker somehow finding the hands of the goalkeeper. Even the introduction of Aaron Ramsey and Gareth Bale could not turn Wales' fortunes around as Giggs's men ended 2018 with back-to-back defeats. Vokes' poor form in front of goal for Wales continued after he failed to add to the three strikes he has to his name this year. Twice he should have beaten Berisha but unerringly found the keeper.